Caramelized onion with cut green beans, topped with caramelized walnuts, crumbled Miyoko’s Classic Double Cream Chive vegan cheese, and fresh chopped garlic! Served with a side lemon squeeze. Broiled to melt the cheese, or not, it’s off the planet delicious! In large skillet, over medium heat, melt olive oil. Add onion, salt and pepper to taste, then saute till caramelized. Add green beans to onion skillet. Saute till hot; salt and pepper to taste. Cut the chilled cheese wheel in half. Place on plate and crumble with fork the way you would blue cheese. Assembly: There are 3 ways you can assemble and serve. 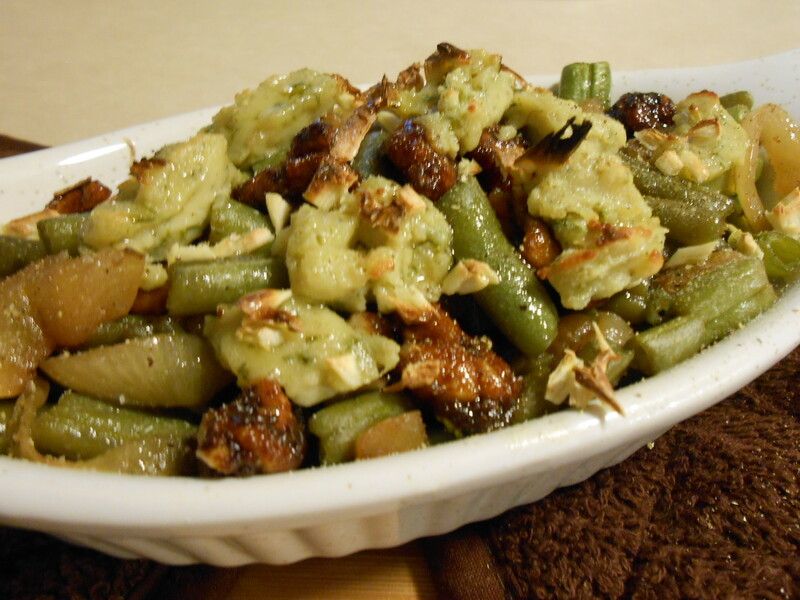 1- Place the crumbled cheese, caramelized walnuts and chopped garlic in skillet with hot green bean mixture. 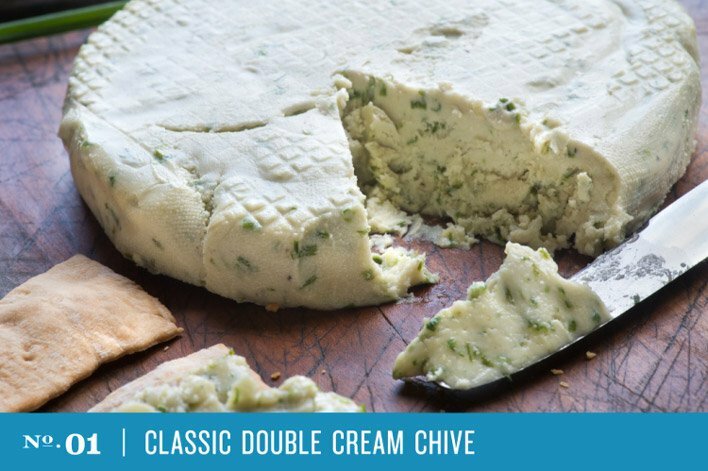 Toss to distribute, without blending in the cheese – keep it lumpy, then transfer to bowl and serve family style. Serve a bowl of lemon wedges on side for guests to squeeze their own on their serving. 2- Place the green bean mixture in serving bowl, top with crumbled cheese, walnuts, followed by garlic, without tossing. Serve family style with lemon wedges. 3- For individual servings (restaurant-style), place green bean mixture in individual casserole dishes. 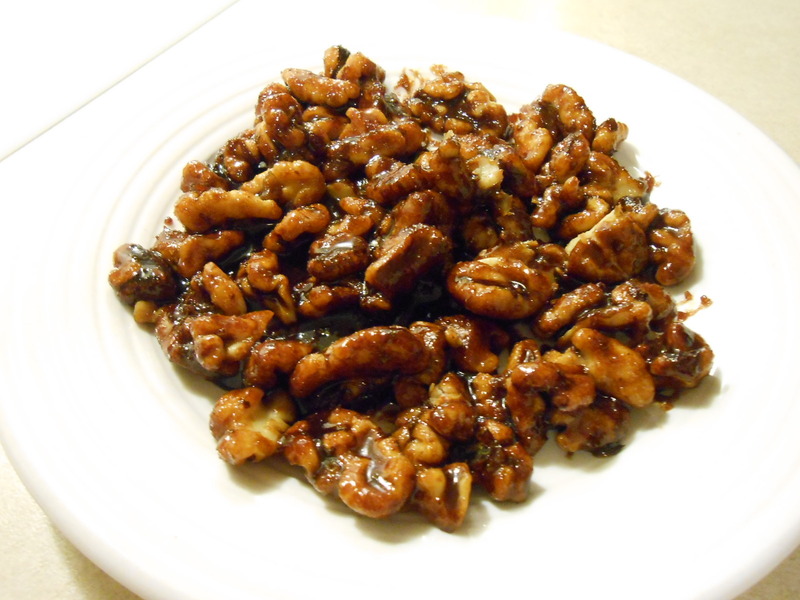 Top with walnuts, followed by crumbled cheese, followed by garlic. Place under broiler till cheese browns a little on top and melts a little. This won’t take long. Serve with lemon wedge. Notes: Most side dish veggies don’t have a rich quality, this one does. Everything about it speaks haute cuisine! If you want to impress your guests for holiday or a fine dining dinner, these beans are the beans you want. Nobody would know that the cheese is animal-free. 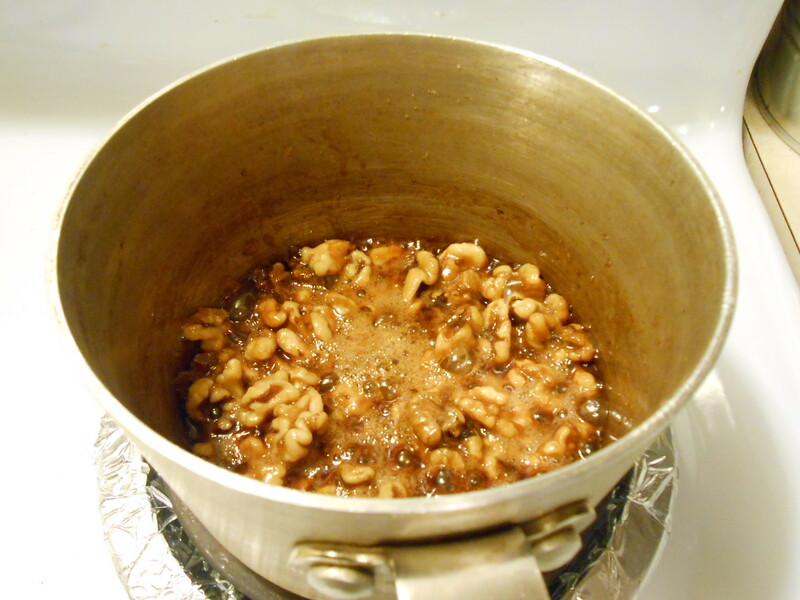 However, if you can’t afford the cheese, not to worry, the beans with the caramelized onion and walnuts plus the fresh garlic and lemon squeeze can stand on their own!